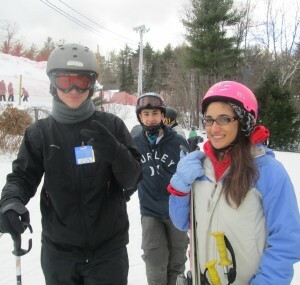 YES partners with Boston schools, youth-serving groups, and faith-based youth groups to offer group skiing and snowboarding trips for youth ages 7-18. Community organizations and schools that enroll in this program will bring their youth on a low-cost trips in the mountains of VT, NH, and Western MA. YES partners with mountains to offer agencies a highly reduced rate for transportation, lift tickets, and gear. These programs take place on weekends from January to March. The Operation SnowSports program allows youth to experience a physical adventure and a mental challenge to promote a positive self image and group unity. If you are interested in enrolling your school or community organization in a 2019 Operation SnowSports trip with YES, please e-mail [email protected] and we will follow up with you.